Growing up, Dr. Laura Taylor enjoyed books by James Herriot, a British veterinary surgeon and writer. 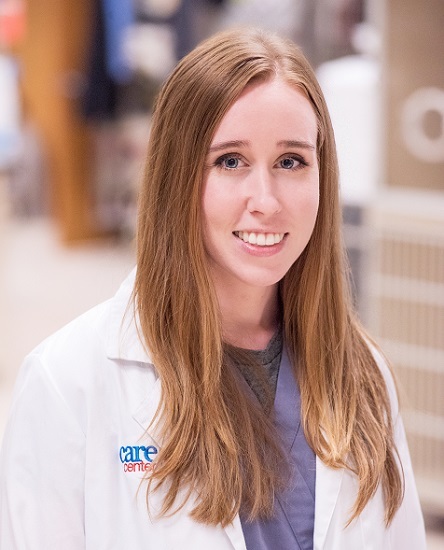 The stories sparked her interest in veterinary medicine and she joined our Care Center team, first as a Technician Assistant and now as a ER doctor. Dr. Taylor attended Pennsylvania State University and The Ohio State College of Veterinary Medicine to earn her Doctorate. Now, she is back as one of our Emergency veterinarians and we couldn’t be happier to have her on our team. She brings special interests in behavior and neurology to her practice. Outside of the hospital she enjoys reading, horseback riding, hiking, traveling and painting. She shares her home with her two cats, Marlowe and Leo.